Evil Academy - Possible NSFW: The Congolese lead the world in something???!!! Evil Academy > Discourse > Freethinker's Academy > Possible NSFW: The Congolese lead the world in something???!!! Full Version: Possible NSFW: The Congolese lead the world in something???!!! USA is 5 inch with 70 % white males? South Korea 3.8 is garbage. 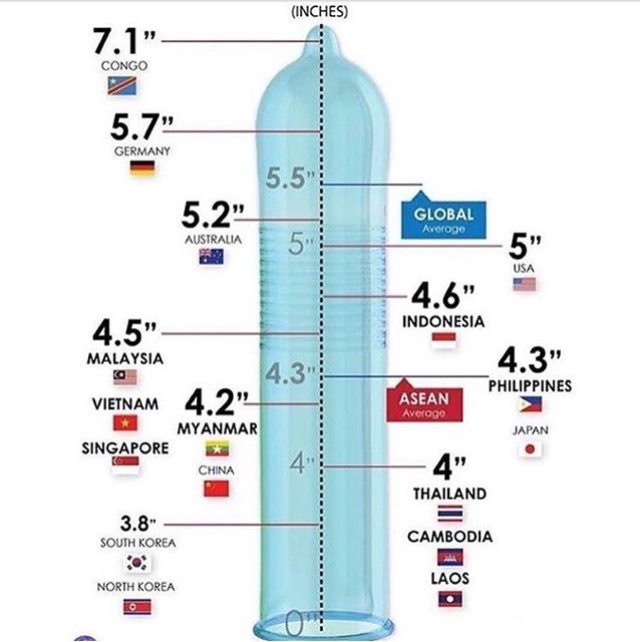 East Asia is probably around 4.5-5 inch on avg. USA and Europe probably 5- 5.5 inch on avg. (03-15-2017 02:52 PM)PUG-THUG Wrote: [ -> ] South Korea 3.8 is garbage. Is Germany is the largest out of Europe/N.A? Was that how you experienced it when you were there? That's a strange way to spell Asian. I am curious why Korean Americans are like Basketball player tall while North Koreans are squat, bottom heavy and have egg-shells for heads. I think EY will confirm that this photo is a psyop against Asians. Nothing is to scale. They put 3.8" right next to 0".